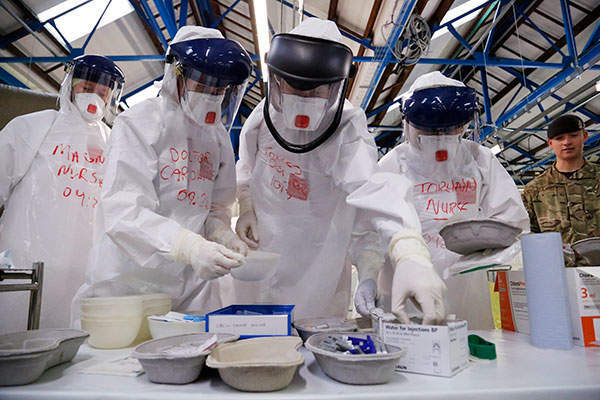 Bioweapons such as Anthrax, Botulism and Variola have been studied as weapons, engineered and in some cases even deployed to devastating affect. Army-technology lists the world’s most deadly bio-weapons. Anthrax is one of the most potential biological weapons in the world. Image courtesy of CDC. Botulinum bacteria as a bio-weapon can be distributed through aerosol or by contamination of water and food supplies. Image courtesy of CDC. 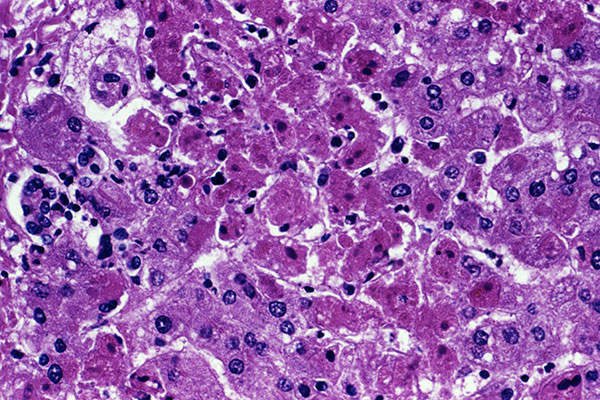 Variola major causes the highly-contagious and infectious disease smallpox. Image courtesy of CDC/Carl Flint. The high case-fatality rate of Ebola virus makes it a potential biological weapon. Image courtesy of Simon Davis/DFID. Yersinia pestis bacterium, which causes pneumonic plague, is considered to be one of the oldest biological warfare agents. Image courtesy of U.S. Centers for Disease Control and Prevention. 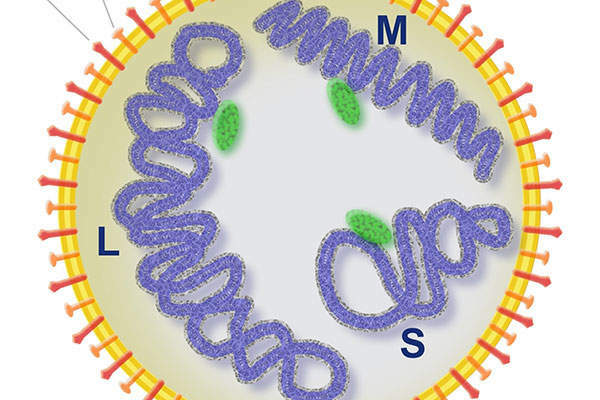 Marburg virus can be easily isolated and created as a biological weapon. Image courtesy of CDC/ Dr. J. Lyle Conrad. The Hanta virus from Bunyaviridae family of viruses has a mortality rate of up to 50%. Image courtesy of Gleiberg. Bacillus anthracis bacteria, which causes anthrax, is one of the most deadly agents to be used as a biological weapon. It is classified by the US Centres for Disease Control and Prevention (CDC) as a Category A agent, posing a significant risk to national security. 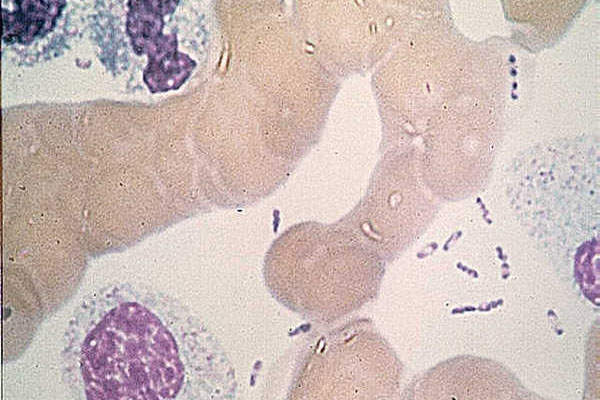 The gram-positive, rod-shaped anthrax spores are found naturally in soil, can be produced in a lab, and last for a long time in the environment. Anthrax has been used as a bio-weapon for about a century mixed with powders, sprays, food and water. The invisible, infectious, odourless and tasteless spores make Anthrax a flexible bio-weapon. Letters containing powdered anthrax spores were intentionally mailed through the US postal system in 2001 affecting 22 people of which five died. Botulinum is relatively easy to produce and has extreme potency and lethality. It can be distributed via aerosol or by contamination of water and food supplies. A gram of Botulinum toxin can kill more than a million people if inhaled. A Japanese biological warfare group is known to have infected war prisoners with C botulinum toxins during the occupation of Manchuria. 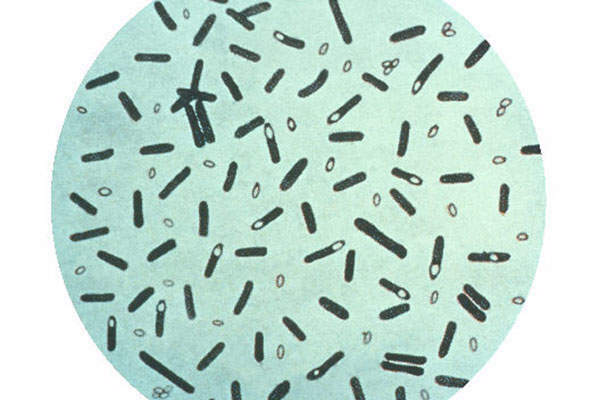 Botulism is a serious muscle-paralysing disease caused by a nerve toxin produced by a bacterium called Clostridium botulinum. The bacteria are found naturally in forest soils, bottom sediments of lakes and streams and the intestinal tracts of some fish and animals. All four forms of botulisms (food borne, infant, wound and animal) induce illness through a common pathway causing muscle weakness, difficulty in speaking and swallowing, and double and blurred vision. Variola major virus causes Smallpox, a highly contagious and infectious disease that has no cure and can be only prevented by vaccination. Smallpox is believed to have been used as a biological weapon against Native Americans and again during the American Revolutionary War. The Soviet government commenced a programme in 1980 to develop smallpox virus in large quantities stored in refrigerated tanks to use as a bio-weapon agent. The threat of smallpox being used as a biological weapon decreased when WHO launched a successful global immunisation program against Smallpox in 1967. Extreme infectiousness, ease of dispersion, and ability to cause illness and death make Francisella tularensis bacterium a dangerous bio-weapon. People affected with Francisella tularensis experience symptoms including skin ulcer, fever, cough, vomiting and diarrhoea. Dr. Kenneth Alibek, a former scientist involved in the Soviet Union’s bio-weapons programme revealed the use of Tularensis by the Soviet Red Army against German troops in the battle of Stalingrad during World War II. The bacterium, which is classified as Category A agent, was studied by Japanese germ warfare research units and some of the Western military powers for military purposes. Ebola Virus Disease (EVD) is a deadly disease induced by infection with one of the Ebola virus forms. Ebola was first discovered in 1976 in the Democratic Republic of the Congo and is transmitted to humans from wild animals, causing an average case fatality rate of 50%. Ebola as a biological weapon poses a great threat to humans because of its high case-fatality rate. It was allegedly produced as a biological weapon by the Soviet Union under a five-year plan implemented between 1986 and 1990, but evidence of it actually being used has not been found. Yersinia pestis bacterium, a CDC Category A organism causing pneumonic plague, can be created in a laboratory in high quantity for use as a bio-weapon. Pneumonic plague spreads from person to person and causes symptoms such as fever, weakness and pneumonia in early stage and, if not treated early, leads to respiratory failure, shock and death. Plague has been intentionally used as a weapon since the 14th century. The Japanese Army dropped plague-infected fleas over populated areas in China and Manchuria in World War II and Soviet scientists successfully produced large quantities of antibiotic-resistant plague organisms suitable for weapons during the 1980s. Marburg Haemorrhagic Fever (Marburg HF) is caused by Marburg virus of the filovirus family, which also includes the Ebola virus. Marburg virus is also a Category A bio-warfare agent identified by the CDC’s classification system and is hosted in African fruit bat. The virus can be isolated and produced as a biological weapon. The Soviet Union conducted experimentations with the Marburg virus in aerosol form to transform it into a strategic-operational biological weapon. Soviet scientists were reported to have preferred Marburg to Coxiella burnetii (Q fever) as Marburg has a high case fatality rate of up to 90%. The Bunyaviridae family of viruses includes three viruses – Nairovirus, Phlebovirus and Hantavirus. Korean haemorrhagic fever caused by Hantavirus broke out during the Korean War when an estimated 3,000 American and Korean soldiers became infected with the disease, but evidence of its direct usage as a biological weapon has not been found. Bunyavirus causes human infections such as Hanta Pulmonary Syndrome (HPS), Rift Valley fever and Crimean-Congo haemorrhagic fever. It is transmitted by arthropods and rodents and occasionally infects humans too. The Hanta virus causing HPS causes a mortality rate of up to 50%. Aflatoxins, a number of structurally associated harmful metabolites developed by certain strains of fungi, lead to cell or organ death, Cirrhosis liver disease resulting in liver failure and cancer. The United Nations Special Commission (UNSCOM) in 1995 specified Iraq’s production and deployment of different munitions with Aflatoxin which were destroyed after the Gulf War. The metabolites, however, have extremely low toxicity and hence are required in large quantities to be dispersed on the battlefield for lethal impact.